A view of the finished slab on which Building 5 in Base Village was planned to be built. It is located just behind the Elk Camp gondola at the Snowmass Ski Area. Six years after selling the majority of its commercial properties in Base Village to Related WestPac for $169 million, Aspen Skiing Co. is looking to get back in the game. 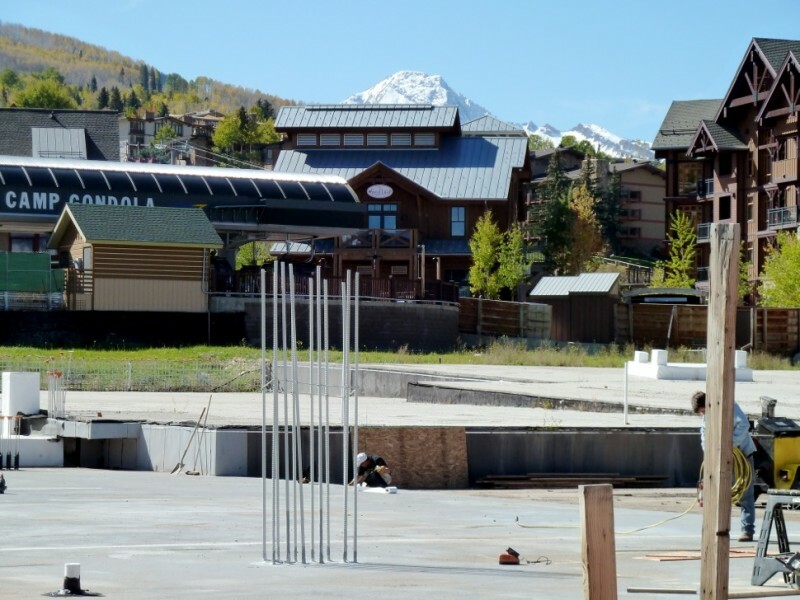 Skico would like to acquire Lot 2 from developer Related Colorado (Snowmass Acquisition LLC) so it can build a Limelight Hotel or Limelight-esque property in the heart of Snowmass Village’s restarted base area, according to sources who say discussions have taken on more immediacy of late. Since reopening in Aspen after a massive renovation in 2008 — Skico purchased it in 2010 — the stylish 126-room Limelight has received mostly positive reviews, including “best hotel in the U.S.” from customers of the online travel company Expedia. According to a July 29 e-mail exchange between Skico Vice President of Hospitality Development Don Schuster and the town of Snowmass Village, there’s interest in developing a 105-room hotel, plus 18 for-sale “hot bed” condominiums. The missive is a follow-up to an informal meeting two weeks earlier between the seller, the prospective buyer and representatives of the town. While Schuster characterized a recent inquiry into the potential Limelight project as “premature — we’re still having conversations with Related with reference to Lot 2,” the idea may receive a public airing during today’s Town Council meeting, when the Viceroy 13B project will be discussed. 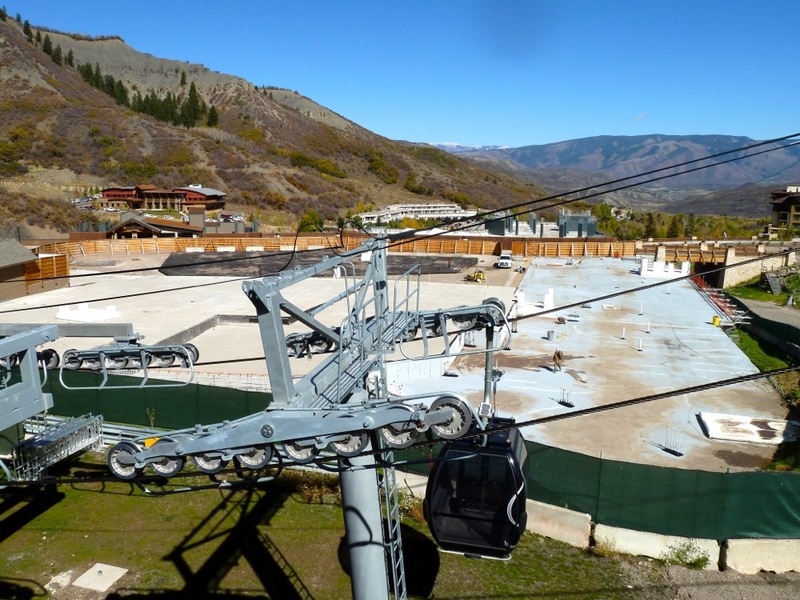 Skico once planned a Little Nell Snowmass for Base Village but abandoned that project during the recession. Lot 2 offers a more convenient location than the former Nell site with better access to the Elk Camp Gondola, a ski-back trail and retail businesses. Neighbors, including Arnie Mordkin, would like something to be built on the unfinished concrete slab that’s visible from Wood Road and much of the upper village. “Frankly, it looks like a Third World country,” Mordkin said in a recent public meeting. Skico’s decision to move ahead with the hotel may hinge on the ability to use a streamlined approval process, known as a minor planned-unit-development amendment, rather than undertaking a potentially more time-consuming major planned-unit-development amendment. Snowmass Village Community Development Director Steve Ferris, who has the ability to make the call on major or minor, said he wanted to meet with interim Town Manager Gary Suiter (new on the job as of Aug. 1) and Town Attorney John Dresser before determining the appropriate process. Changing the building’s usage from primarily residential to one that requires back-of-house services is among the factors decision-makers will consider for the method for review. Time is not on the town’s side: Ferris is leaving his job after Tuesday for a similar position with the city of Denver. “If financing is available to a sophisticated developer, then it means the market demands it,” he said. Yet the owner of one of the original condominiums in Base Village, Bruce Smith, said he and his neighbors don’t believe a restart of the project is right until some of the early agreements have been satisfied. 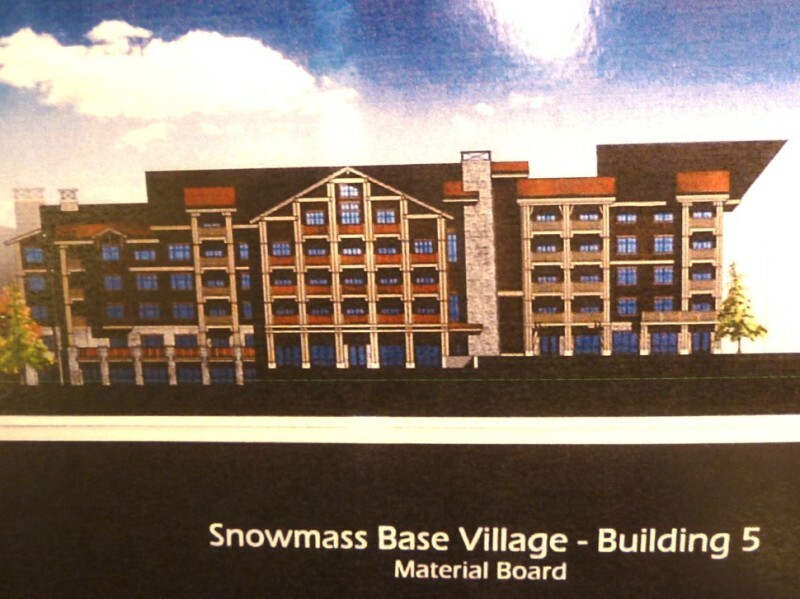 Smith, owner of a Capitol Peak Lodge unit, said, “As far as I’m concerned, Related has a responsibility to deliver against what they told the original buyers.” That includes constructing an aqua center in Base Village, an amenity that was missing from Related’s sneak-peek presentation at the July meeting of the Part-Time Residents Advisory Board. Smith and fellow homeowners have retained attorneys Matt Ferguson and Michael Reiser, who successfully represented the original Viceroy Hotel purchasers in litigation on issues that included unit size. 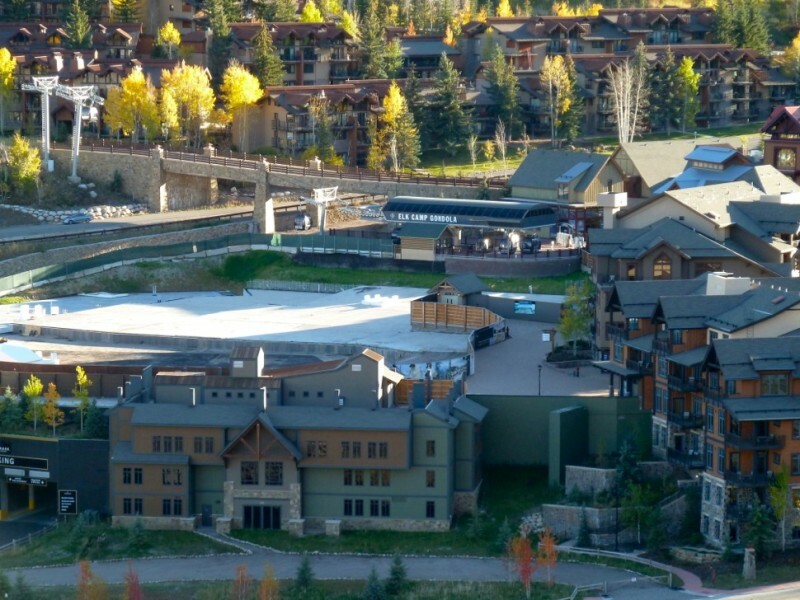 Skico, Intrawest, Related and other corporate entities are named as defendants in an ongoing suit filed by 29 condo owners In Capitol Peak Lodge. At the August 5 Town Council meeting, Related’s Romero was expected to outline some of the concepts for the restarted Base Village. He also may ask to extend the project vesting to 2024 after the requirement to build a roundabout at Wood Road and Brush Creek Road is satisfied. Editor’s note: This story was produced in collaboration with The Aspen Times, which published the story on Monday, August 5, 2013. 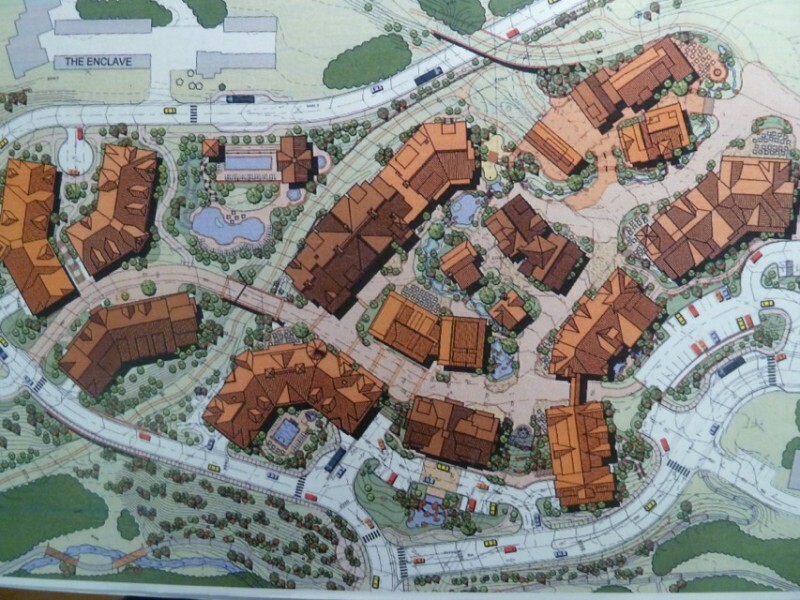 The headline in the print edition was incomplete, and read “Aspen Skiing Co. interested in building Base Village” instead of “Aspen Skiing Co. interested in building Base Village hotel, after all” which inadvertently gave a different meaning to the headline, as Aspen Skiing Co. is looking at constructing one building, not the entire remaining village.